Emerald Expositions Events, Inc. (NYSE:EEX) ("Emerald" or the "Company"), a leading U.S. business-to-business trade show, event and conference producer, today reported financial results for the fourth quarter and full year ended December 31, 2018. "We delivered strong growth in revenues and Adjusted EBITDA in the fourth quarter of 2018," reported Phil Evans, Interim Chief Executive Officer and Chief Financial Officer of Emerald Expositions. "This growth partly reflected the benefit of several successful launches, including our new Outdoor Retailer Winter Market show in November. We also experienced a strong contribution from our two acquisitions in the second half of 2018, including Boutique Design New York which staged in November and grew revenues by a low double-digit percentage over the prior year's show, in line with our expectations. Beyond our portfolio, we also worked to maximize shareholder value through our capital allocation strategy as we repurchased approximately 1.6 million common shares at an average cost of $11.94 per share given the persistent discount to intrinsic value at which our shares traded during the fourth quarter." Mr. Evans added, "Looking to 2019, our guidance reflects the bold actions that we are taking to reposition our NY NOW shows and to enhance our event experiences broadly across the portfolio for both attendees and exhibitors. We are confident that these actions and incremental investments will be rewarded with improved performance in the future. In fact, we are optimistic that we have successfully turned around the perception of NY NOW for many in the marketplace as there was genuine excitement on the show floor for our recent Winter edition. There were numerous new exhibitors and show features, while show attendance volume and quality improved noticeably over the prior year, which bodes well for future editions. Overall, we have a strong portfolio of market-leading brands and, as we stabilize NY NOW and ASD, we expect the portfolio to return to solid organic growth. Looking forward, we remain committed to delivering strong cash flows and shareholder returns over the long term." For the fourth quarter of 2018, Emerald reported revenues of $57.0 million compared to revenues of $31.5 million for the fourth quarter of 2017, an increase of $25.5 million, or 81.0%. The increase included incremental revenue in 2018 of $17.1 million from acquisitions and $2.8 million from a show scheduling difference for an event that staged in the fourth quarter of 2018 and in the third quarter of 2017, partly offset by a net $0.7 million reduction in revenues due to several small discontinued events. Organic revenue growth for the quarter of $6.3 million, or approximately 19.1%, was mainly driven by several show launches, most notably Outdoor Retailer Winter Market. Cost of Revenues of $20.4 million for the fourth quarter of 2018 increased by 112.5%, or $10.8 million, from $9.6 million for the fourth quarter of 2017. This increase reflected $7.3 million of incremental costs related to acquisitions and $0.8 million due to the show scheduling difference noted above, with $0.5 million of net savings on discontinued events. Additional costs associated with organic revenue growth, including show launches, were $3.2 million for the fourth quarter of 2018. Selling, General & Administrative Expense ("SG&A") of $31.8 million for the fourth quarter of 2018 increased by 22.3%, or $5.8 million, from $26.0 million for the fourth quarter of 2017. SG&A for the fourth quarter of 2018 included incremental costs attributable to acquisitions of $4.8 million, and an increase in stock-based compensation of $1.1 million, offset by a reduction of $3.1 million in non-recurring other items. Net loss of $90.0 million for the fourth quarter of 2018 represented a decrease compared to net income of $40.3 million for the fourth quarter of 2017. In the fourth quarter of 2018, in connection with the Company's annual October 31 testing of intangibles for impairment, the Company recorded a $104.3 million non-cash charge related to certain trade names and customer-related intangible assets. In the fourth quarter of 2017, net income included the benefit of a $52.1 million deferred tax credit related to the re-measurement of the Company's deferred tax liabilities at the reduced federal corporate tax rate that became effective January 1, 2018. For the fourth quarter of 2018, Adjusted EBITDA was $8.5 million, compared to $3.0 million for the fourth quarter of 2017, which reflects an adjustment for the impact of the show scheduling difference noted earlier. The increase of $5.5 million was driven predominantly by acquisitions and fourth quarter launches. For a discussion of the Company's presentation of Adjusted EBITDA, which is a non-GAAP measure, see below under the heading "Non-GAAP Financial Information." For a reconciliation of Adjusted EBITDA to net income see Appendix I attached hereto. Net cash provided by operating activities decreased by $6.3 million to $35.4 million in the fourth quarter of 2018, compared to $41.7 million in the fourth quarter of 2017. The key items affecting the quarter's cash flow were lower cash receipts for future shows in the fourth quarter of 2018 than in the fourth quarter of 2017, $0.7 million in higher interest payments and $0.4 million in higher cash taxes, partly offset by a $3.1 million reduction in the cash outflows related to non-recurring other items. Capital expenditures were $0.3 million for the fourth quarter of 2018, compared to $2.3 million for the fourth quarter of 2017. Free Cash Flow, which we define as net cash provided by operating activities less capital expenditures, was $35.1 million for the fourth quarter of 2018, compared to $39.4 million in the fourth quarter of 2017. For a discussion of our presentation of Free Cash Flow, which is a non-GAAP measure, see below under the heading "Non-GAAP Financial Information." For a reconciliation of Free Cash Flow to net cash provided by operating activities, see Appendix I attached hereto. As of December 31, 2018, Emerald's cash and cash equivalents were $20.5 million and gross debt was $576.5 million, resulting in net debt (gross debt less cash and cash equivalents) of $556.0 million. As a result, Emerald's net debt leverage ratio at the end of the fiscal year was 3.4 times Adjusted EBITDA, calculated in accordance with the Company's credit agreement. On February 5, 2019, the Board of Directors approved the payment of a cash dividend of $0.0725 per share for the quarter ending March 31, 2019 to holders of the Company's common stock. The dividend is expected to be paid on or about March 5, 2019 to stockholders of record on February 19, 2019. In the second quarter of 2019, management intends to propose, and expects the Board of Directors will approve, a 3.4% increase in the quarterly cash dividend rate, to $0.075 per share effective for the second quarter 2019 dividend. The incremental quarterly cash payment of the proposed increase would be approximately $0.2 million. The above outlook does not incorporate the impact of any acquisitions that Emerald may close in 2019 or other unforeseen developments. See discussion of non-GAAP financial measures at the end of this release. As previously announced, the Company will hold a conference call to discuss its fourth quarter and full year 2018 results at 11:00 am ET on Thursday, February 14, 2019. The conference call can be accessed by dialing 1-877-407-9039 (domestic) or 1-201-689-8470 (international). A telephonic replay will be available approximately two hours after the call by dialing 1-844-512-2921, or for international callers, 1-412-317-6671. The passcode for the replay is 13683593. The replay will be available until 11:59 pm (Eastern Time) on February 21, 2019. Interested investors and other parties can access the webcast of the live conference call by visiting the Investors section of Emerald's website at http://investor.emeraldexpositions.com. An online replay will be available on the same website immediately following the call. Emerald is a leading operator of business-to-business trade shows in the United States. We currently operate more than 55 trade shows, as well as numerous other face-to-face events. In 2018, Emerald's events connected over 500,000 global attendees and exhibitors and occupied more than 7.0 million net square feet of exhibition space. This press release presents certain "non-GAAP" financial measures. The components of these non-GAAP measures are computed by using amounts that are determined in accordance with accounting principles generally accepted in the United States of America ("GAAP"). A reconciliation of non-GAAP financial measures used in this press release to their nearest comparable GAAP financial measures is included in Appendix I attached hereto. The Company provides certain elements of its forward-looking 2019 outlook solely on a non-GAAP basis because the Company cannot predict certain elements that would be required in certain reported GAAP results. The Company has not presented a quantitative reconciliation of the forward-looking non-GAAP measures, Adjusted EBITDA and Adjusted Net Income, to net income, and Free Cash Flow, to net cash provided by operating activities, their most comparable GAAP financial measures, or Adjusted Diluted EPS, because it is impractical to forecast certain items without unreasonable efforts due to the uncertainty and inherent difficulty of predicting the occurrence and financial impact of and the periods in which such items may be recognized. For Adjusted EBITDA and Adjusted Net Income, these items are generally expected to be similar to the kinds of charges and costs excluded from Adjusted EBITDA and Adjusted Net Income in prior periods and include, but are not limited to, acquisition-related expenses, stock-based compensation, income tax expense, the effects of scheduling adjustments (in the case of Adjusted EBITDA only) and other assumptions about capital requirements for future periods. For Free Cash Flow, this includes assumptions about capital requirements for future periods. The variability of these items may have a significant impact on our future GAAP financial results. We use Adjusted EBITDA because we believe it assists investors and analysts in comparing Emerald's operating performance across reporting periods on a consistent basis by excluding items that we do not believe are indicative of our core operating performance. Management and Emerald's board of directors use Adjusted EBITDA to assess our financial performance and believe it is helpful in highlighting trends because it excludes the results of decisions that are outside the control of management, while other measures can differ significantly depending on long-term strategic decisions regarding capital structure, the tax jurisdictions in which we operate, and capital investments. Adjusted EBITDA should not be considered as an alternative to net income as a measure of financial performance or to cash flows from operations as a liquidity measure. We define Adjusted EBITDA as net income before (i) interest expense, (ii) loss on extinguishment of debt, (iii) income tax expense, (iv) depreciation and amortization, (v) stock-based compensation, (vi) deferred revenue adjustment, (vii) intangible asset impairment charge, (viii) unrealized loss on interest rate swap and floor, net, (ix) the Onex management fee (which ended prior to the Company's initial public offering), (x) material show scheduling adjustments, and (xi) other items that management believes are not part of our core operations. In addition to net income presented in accordance with GAAP, we present Adjusted Net Income because we believe it assists investors and analysts in comparing our operating performance across reporting periods on a consistent basis by excluding items that we do not believe are indicative of our core operating performance. Our presentation of Adjusted Net Income adjusts net income for (i) loss on extinguishment of debt, (ii) stock-based compensation, (iii) deferred revenue adjustment, (iv) intangible asset impairment charge, (v) the Onex management fee (which ended prior to the Company's initial public offering), (vi) other items that management believes are not part of our core operations, (vii) amortization of deferred financing fees and discount, (viii) amortization of acquired intangible assets and (ix) tax adjustments related to non-GAAP adjustments. We use Adjusted Net Income as a supplemental metric to evaluate our business's performance in a way that also considers our ability to generate profit without the impact of certain items. For example, it is useful to exclude stock-based compensation expenses because the amount of such expenses in any specific period may not directly correlate to the underlying performance of our business, and these expenses can vary significantly across periods due to timing of new stock-based awards. We also exclude professional fees associated with debt refinancing, the amortization of acquired intangible assets and certain discrete costs, including deferred revenue adjustments, impairment charges and transaction costs (including professional fees and other expenses associated with acquisition activity) in order to facilitate a period-over-period comparison of our financial performance. This measure also reflects an adjustment for the difference between cash amounts paid in respect of taxes and the amount of tax recorded in accordance with GAAP. Each of the normal recurring adjustments and other adjustments described in this paragraph help to provide management with a measure of our operating performance over time by removing items that are not related to day-to-day operations or are noncash expenses. Adjusted Net Income is a supplemental non-GAAP financial measure of operating performance and is not based on any standardized methodology prescribed by GAAP. Adjusted Net Income should not be considered in isolation or as an alternative to net income, cash flows from operating activities or other measures determined in accordance with GAAP. Also, Adjusted Net Income is not necessarily comparable to similarly titled measures presented by other companies. 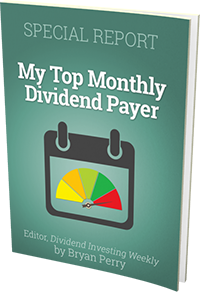 Adjusted Diluted EPS is defined as Adjusted Net Income divided by diluted weighted average common shares outstanding. We present Free Cash Flow because we believe it is a useful indicator of liquidity that provides information to management and investors about the amount of cash generated from our core operations that, after capital expenditures, can be used to maintain and grow our business, for the repayment of indebtedness, payment of dividends and to fund strategic opportunities. Free Cash Flow is a supplemental non-GAAP measure of liquidity and is not based on any standardized methodology prescribed by GAAP. Free Cash Flow should not be considered in isolation or as an alternative to cash flows from operating activities or other measures determined in accordance with GAAP. This press release contains certain forward-looking statements, including assumptions about the expected financial performance of recent acquisitions, our ability to execute our acquisition strategy to accelerate growth and full year guidance with respect to revenue growth, Adjusted Net Income, Adjusted EPS, Free Cash Flow and Adjusted EBITDA. These statements are based on management's expectations as well as estimates and assumptions prepared by management that, although they believe to be reasonable, are inherently uncertain. These statements involve risks and uncertainties, including, but not limited to, economic, competitive, governmental and technological factors outside of the Company's control that may cause its business, industry, strategy, financing activities or actual results to differ materially. See "Risk Factors" and "Cautionary Note Regarding Forward-Looking Statements" in the Company's most recently filed periodic reports on Form 10-K and Form 10-Q and subsequent filings. The Company undertakes no obligation to update or revise any of the forward-looking statements contained herein, whether as a result of new information, future events or otherwise. (1) Represents non-cash charges of $90.6 million and $13.7 million for certain trade names and customer related intangible assets, respectively, in connection with the Company's annual October 31 testing of intangibles for impairment. (2) Represents contract termination costs incurred in connection with the relocation of certain trade shows. (3) Other items for the three months ended December 31, 2018 included: (i) $1.3 million in transaction costs in connection with certain acquisition transactions and (ii) $0.2 million in transition costs. Other items for the three months ended December 31, 2017 included: (i) $2.0 million in transaction costs in connection with certain acquisition transactions that were completed or pending in 2017 and 2016, (ii) $1.1 million in legal, audit and consulting fees related to operating as a public company and other related activities and (iii) $1.5 million in transition costs. Other items for the year ended December 31, 2018 included: (i) $3.6 million in transaction costs in connection with certain acquisition transactions (ii) $1.4 million in legal, accounting and consulting fees related to the secondary offering of our common stock by certain existing stockholders and other related activities and (iii) $4.2 million in transition costs. Other items for the year ended December 31, 2017 included: (i) $5.7 million in transaction costs in connection with certain acquisition transactions that were completed or pending in 2017, (ii) $4.6 million in legal, audit and consulting fees related to the IPO and other related activities and (iii) $3.2 million in transition costs. (1) Represents non-cash impairment charges described in Note 1 above. (2) Represents contract termination costs described in Note 2 above. (3) Represents other items described in Note 3 above. (4) Reflects application of U.S. federal and state enterprise tax rate of 25.1% and 25.3% for the three months ended December 31, 2018 and 2017, respectively, and 24.9% and 39.3 % for the year ended December 31, 2018 and 2017, respectively.